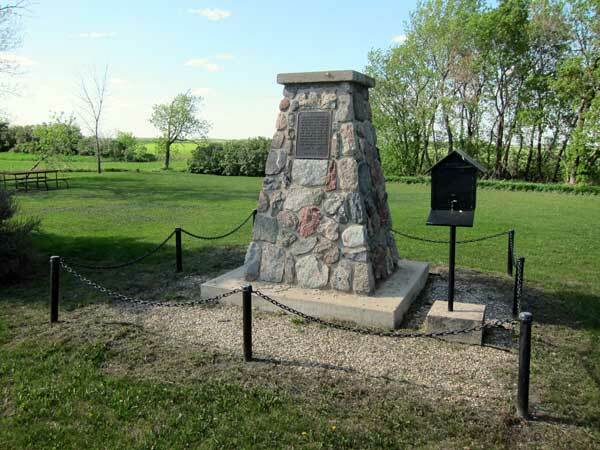 A monument in the village of Norgate, in the Municipality of McCreary, was erected on 27 July 1985 in commemoration of the community and its pioneers and military veterans. A post office was established here in 1895 and also comprised a church, school, grain elevator, and Canadian National Railway station. It was named by settler Malcolm McGillivray because “it was the narrowest pass on the route between Riding Mountain to the west and the swampy country to the east.” The post office closed in 1970 and most vestiges of the community were gone by 1971. 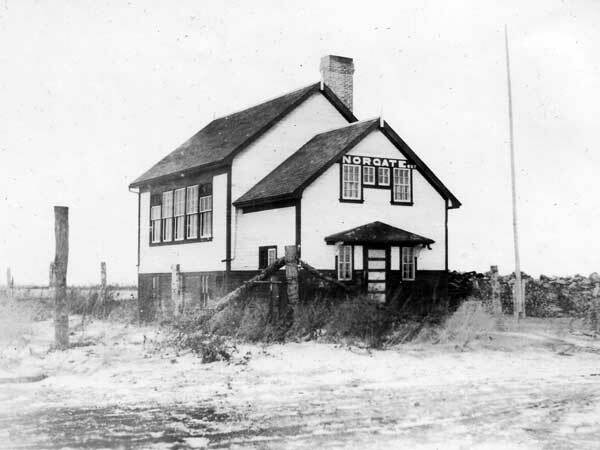 The Norgate School District was organized formally in February 1894 and a school building operated in Norgate. The school closed in 1966 and the district was dissolved the following year, with remaining students going to McCreary Consolidated School No. 1348.